There are few places in Riverwest beyond the sound of the bells of St. Casimir’s or St. Mary of Czestochowa Catholic Churches. And there are few elements of those churches that have not been touched by Patricia Beirne. Pat Beirne has been the pastoral associate at both churches and at the merged parish of Our Lady of Divine Providence for sixteen years. And this summer she is retiring. When Pat returned to her home parish in the 1980s, she got involved as a volunteer in the kitchen at St. Casimir’s. She was working as a nurse at that time – had been since 1969 – and found herself being drawn into the life of the parish. In 1990 she began the program for lay ministers at St. Francis Seminary, obtaining her certificate in 1994. 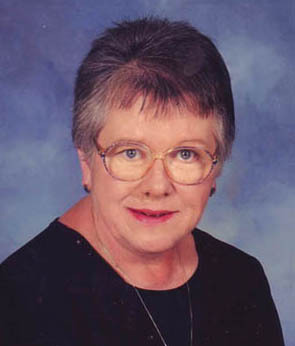 She was then invited to the seminary’s preaching institute and completed that program in 1996. In 1997 Pat was hired by St. Casimir’s and St. Mary’s as a pastoral associate, also serving briefly as business manager at St. Mary’s. Pat has continued to fit education in her busy life, earning a master’s degree in pastoral studies from St. Francis in 2006. Further education is one of the interests she hopes to follow after her retirement. “People think I’m going to get bored, but I doubt it,” she smiled. Travel, family – and maybe a little relaxation – are part of her plans. And of course she plans to volunteer with the church. Pat has a unique perspective on the history of Our Lady of Divine Providence and its place in our neighborhood. “The church is a presence and a welcoming atmosphere first of all,” she reflected. “We really try to be open to the whole community and its needs, not just our parishoners. “We have hosted the Riverwest Food Pantry at St. Casimir’s – we’ve done it for about thirty years. We saw a need in the community and filled it. And that need has been steadily increasing. It led us to expand from being open one Saturday a month to every Saturday. As Pat reflected on the future of Our Lady of Divine Providence, it seemed to echo the mission apparent in her own life of service. Thanks for everything, Pat. See you in church.